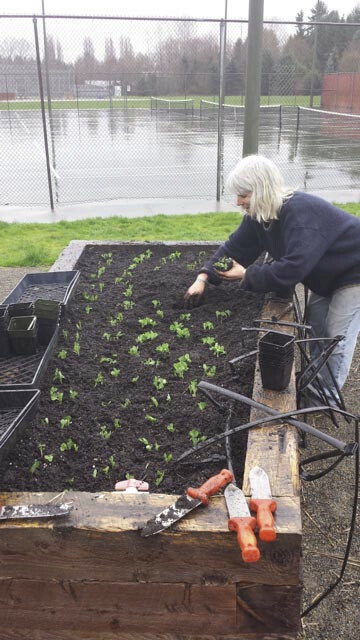 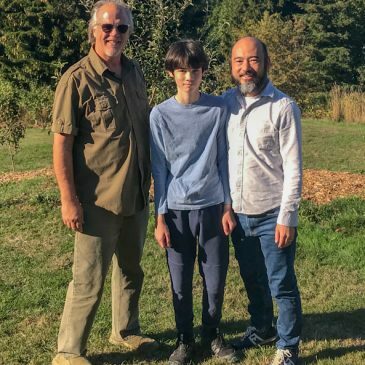 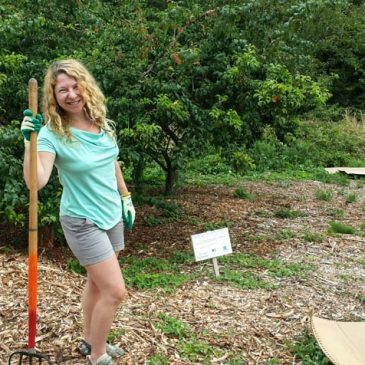 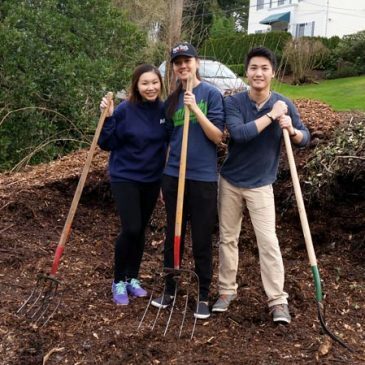 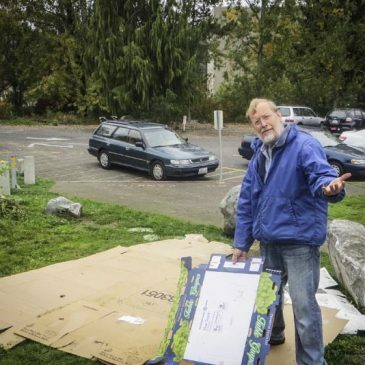 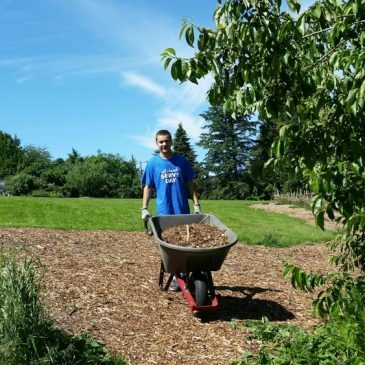 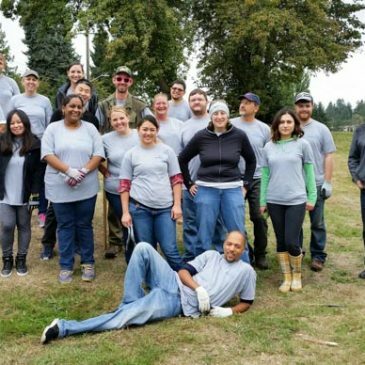 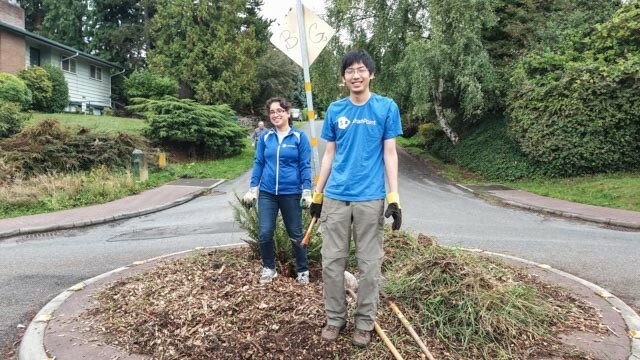 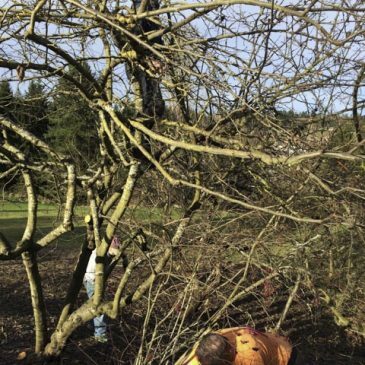 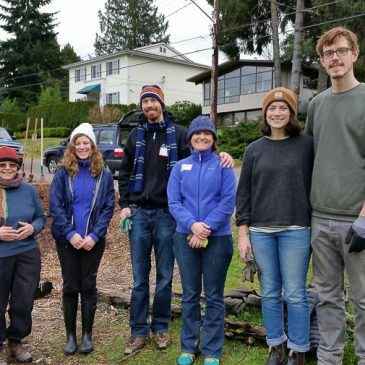 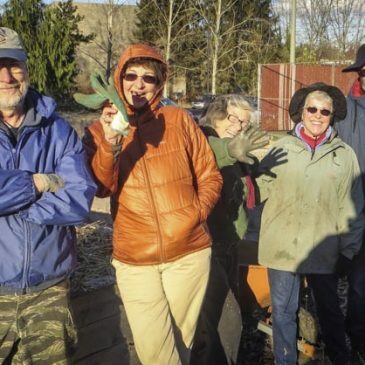 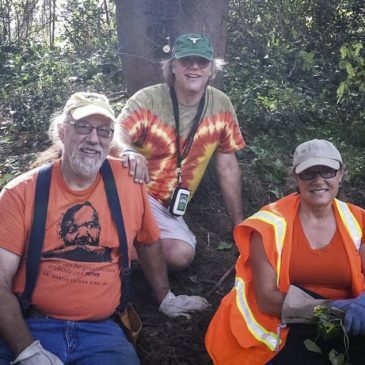 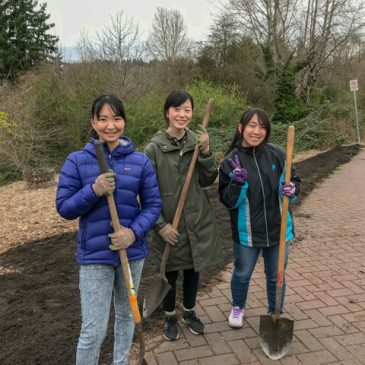 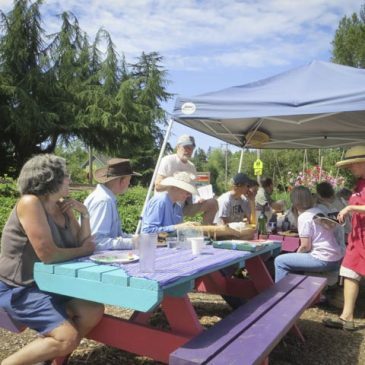 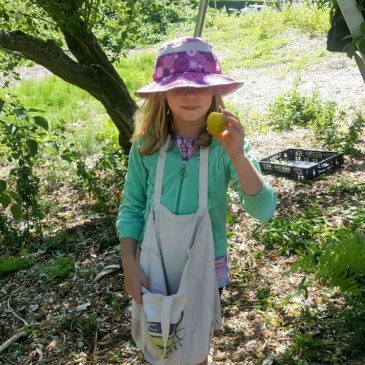 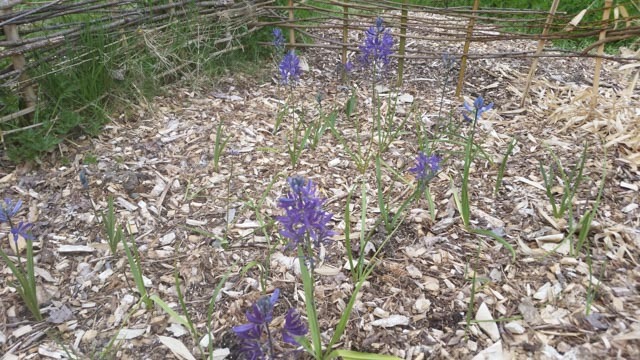 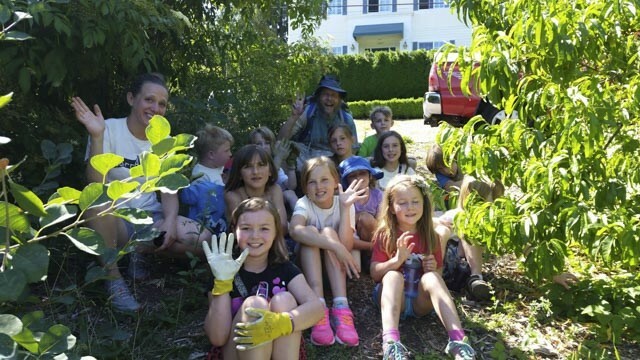 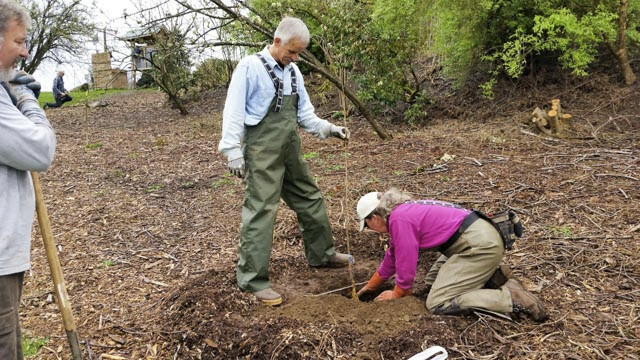 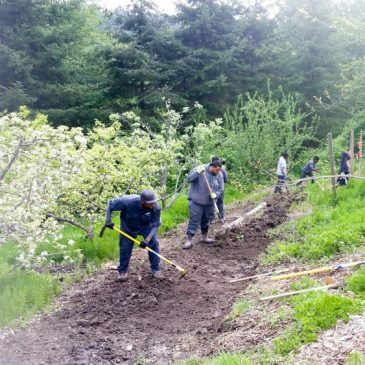 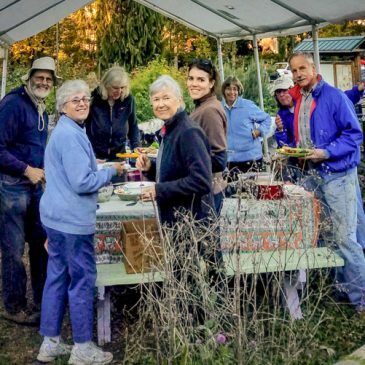 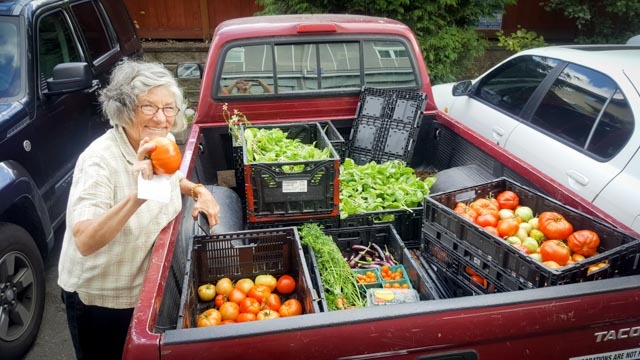 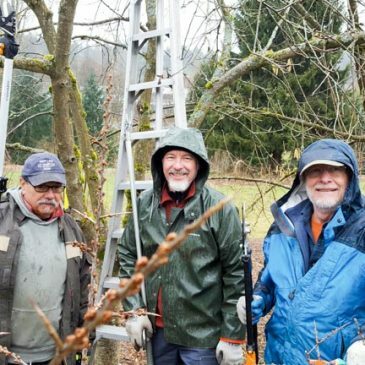 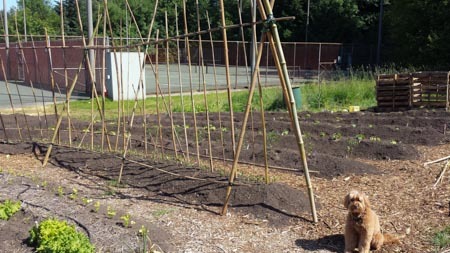 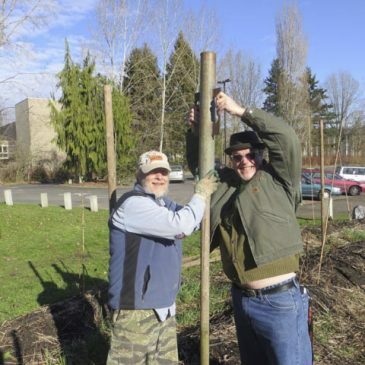 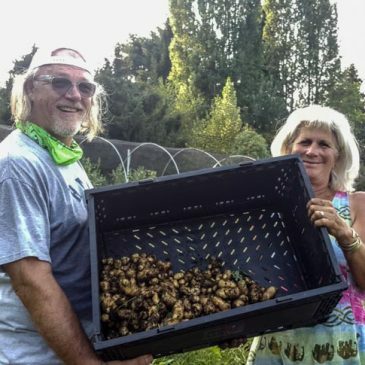 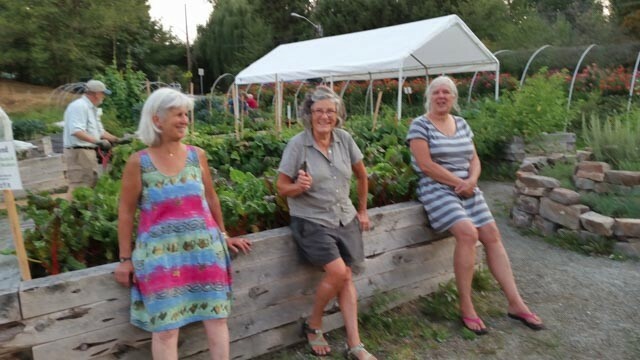 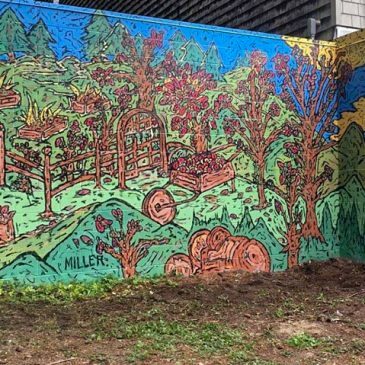 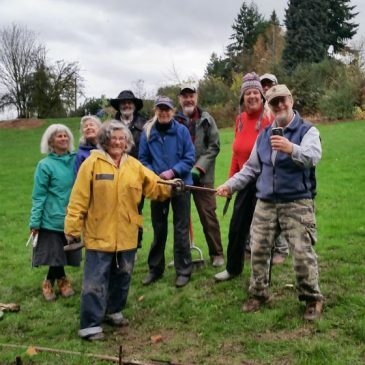 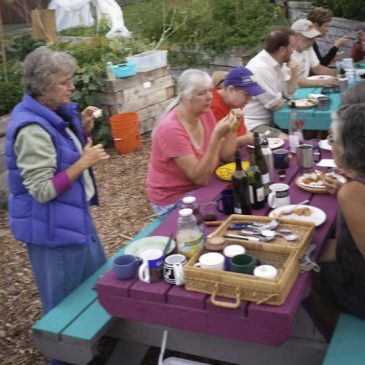 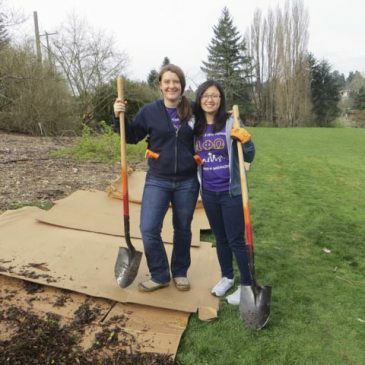 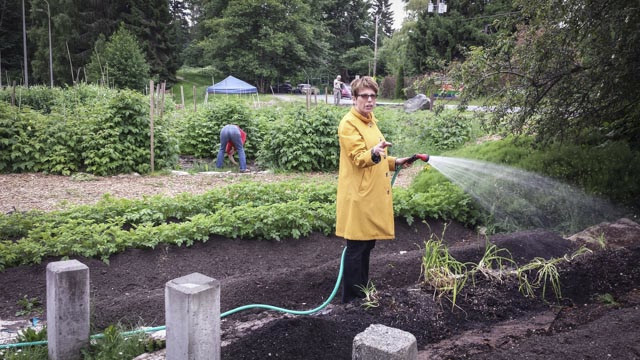 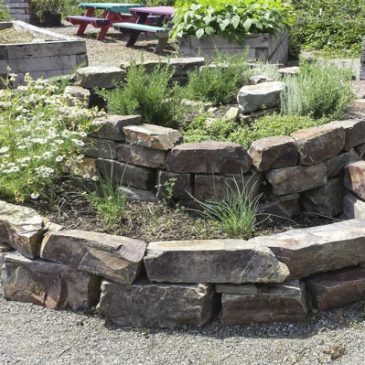 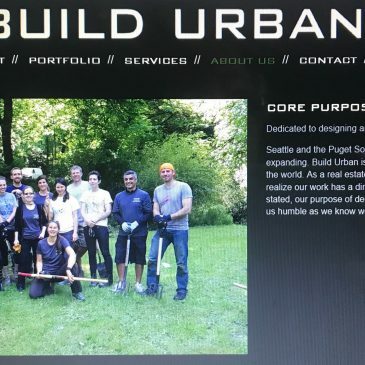 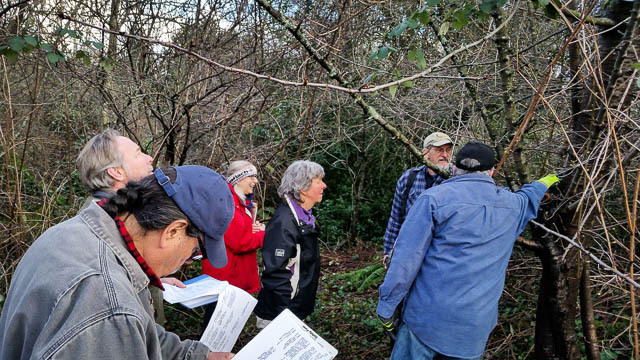 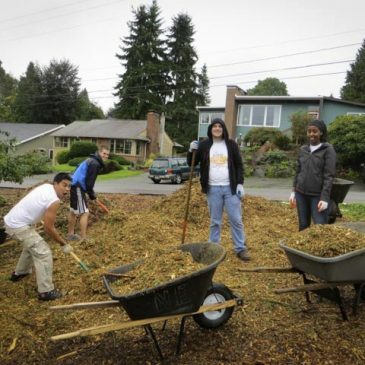 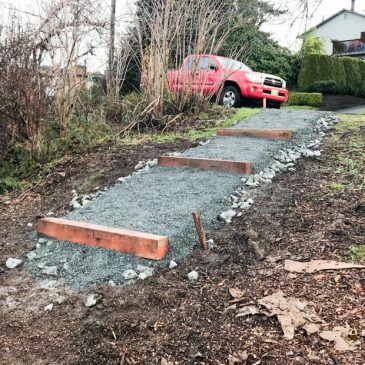 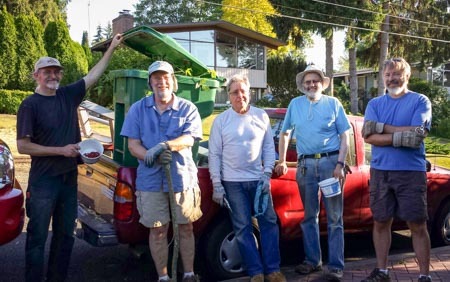 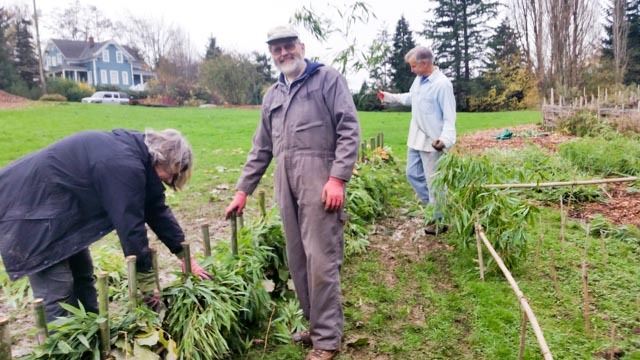 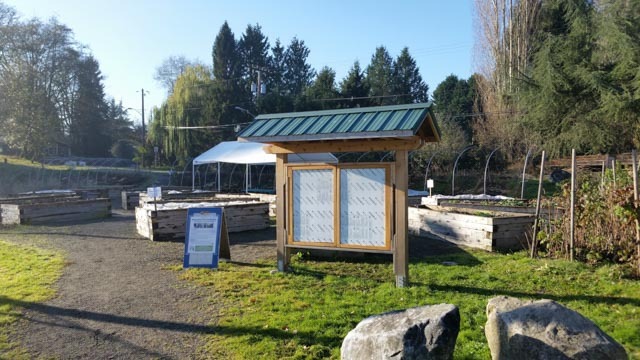 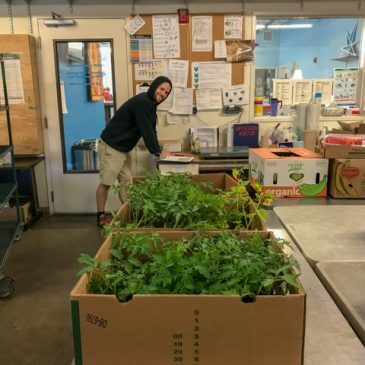 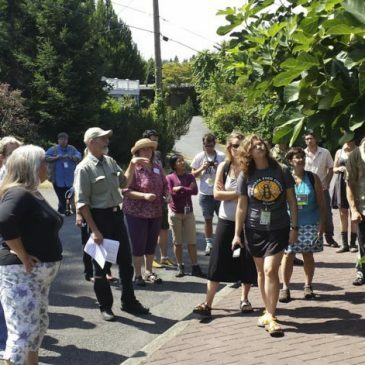 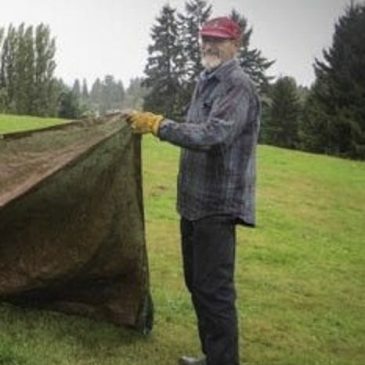 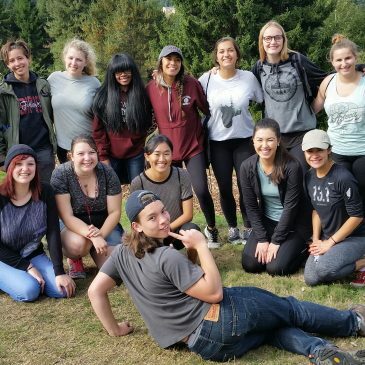 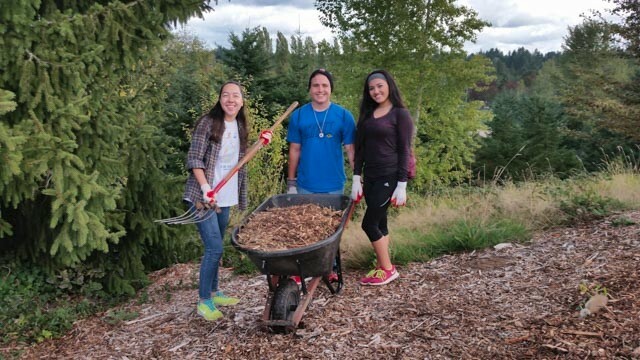 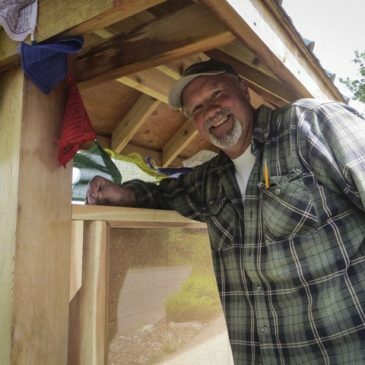 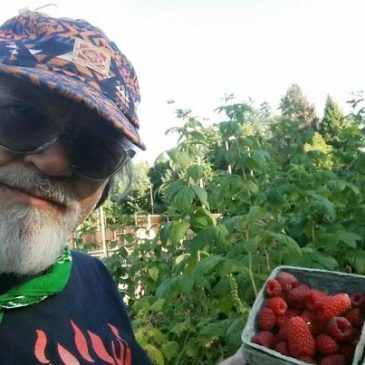 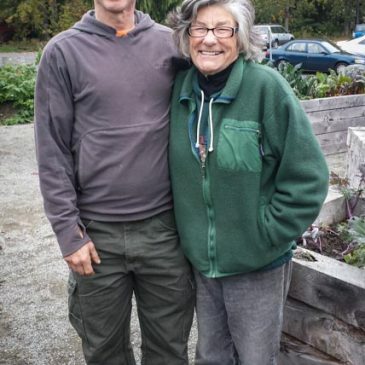 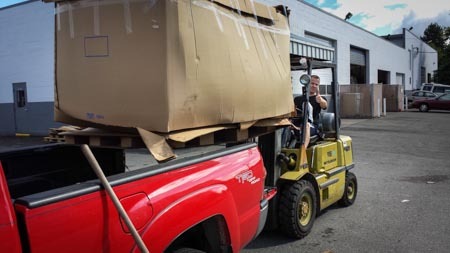 In partnership with Sustainable NE Seattle, Seattle Parks and City Fruit, Meadowbrook Community Care (MC2) has supported the building of the Meadowbrook Annual Garden (2012) at Meadowbrook Park. 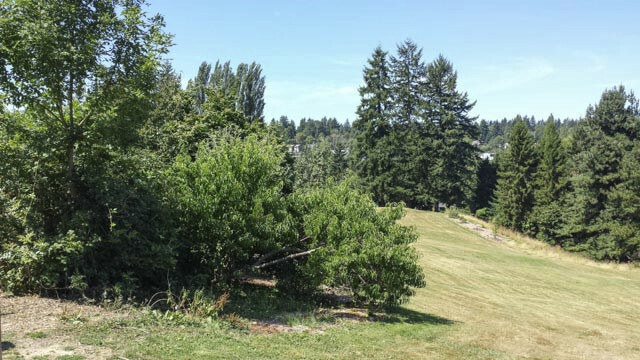 It is located west of the tennis courts and Nathan Hale High School. 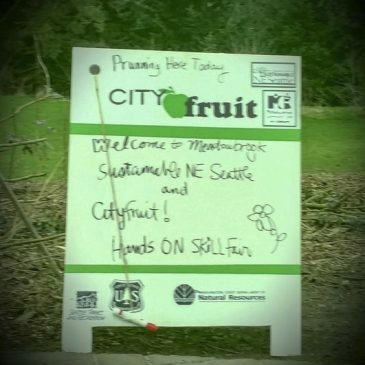 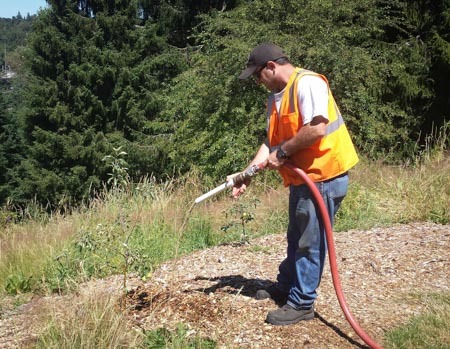 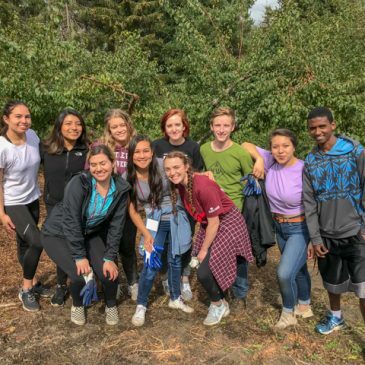 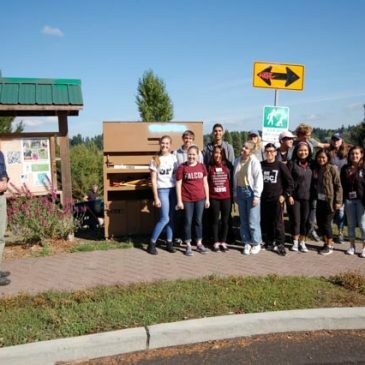 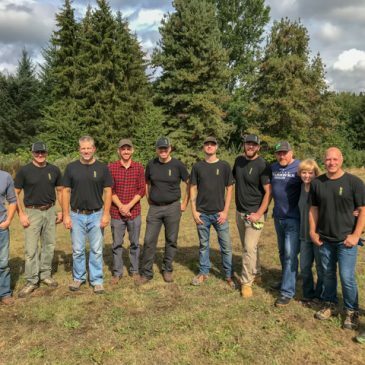 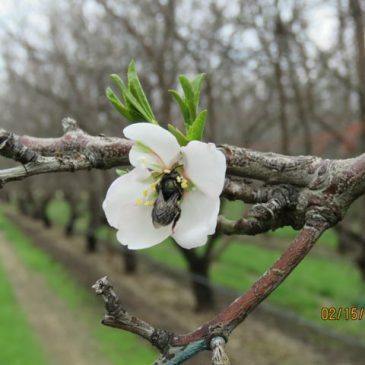 MC2 also helps facilitate the expansion, maintenance and improvement of the Meadowbrook Orchard which borders NE 105th. 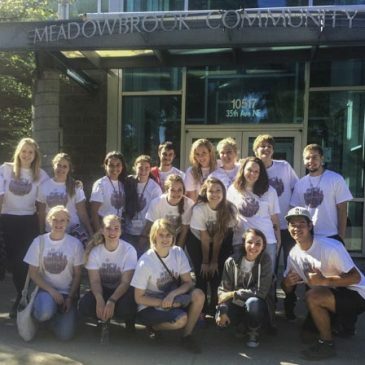 Most funding for both projects come from the Meadowbrook Community Center Advisory Council. 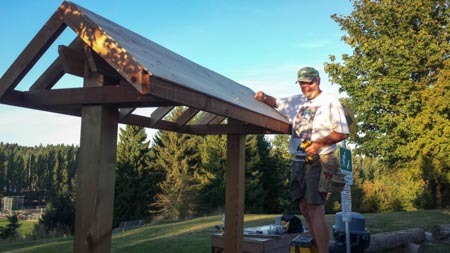 All construction, maintenance and care at both sites is provided by volunteers. 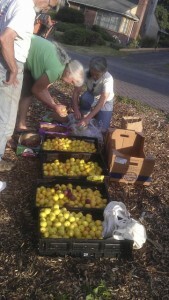 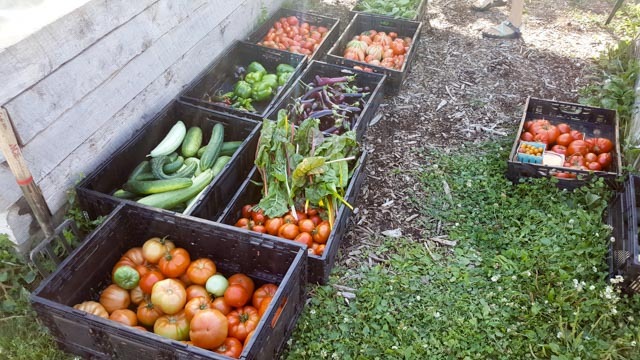 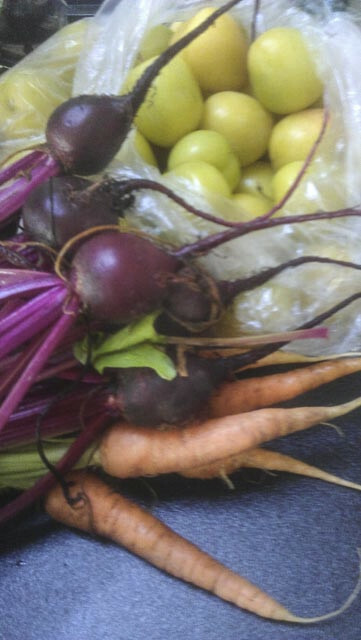 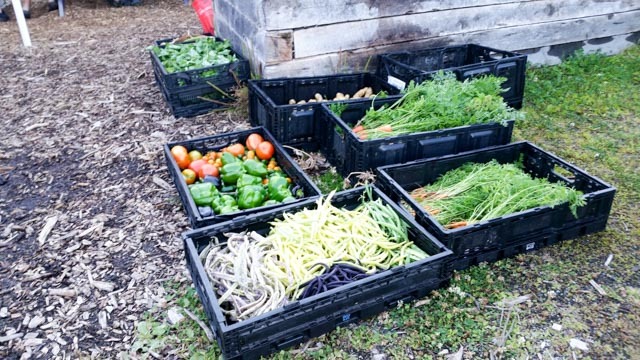 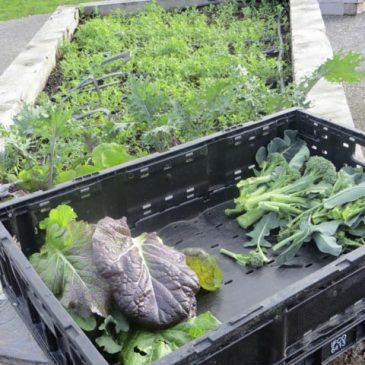 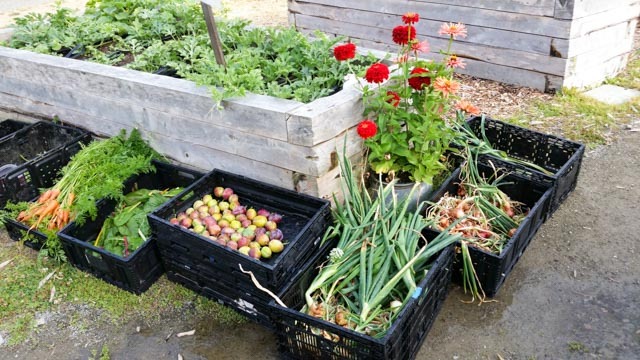 Portions of past, present and future harvests from both sites are donated to the Community Shelter Meal when available. 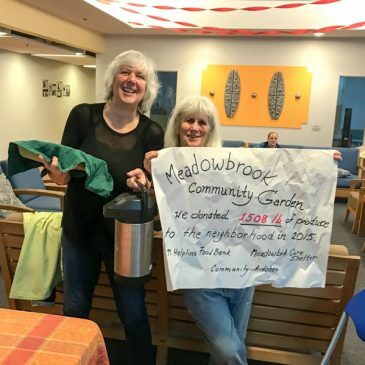 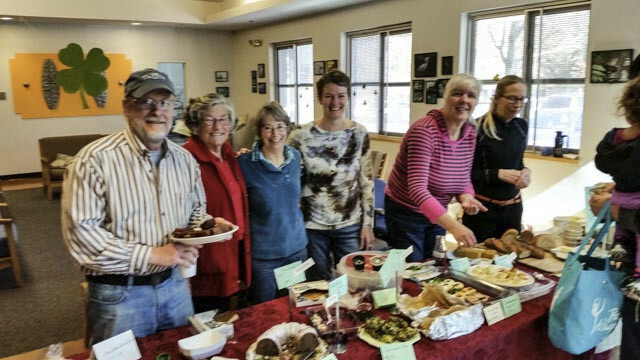 Cooking classes at the Meadowbrook Community Center are also beneficiaries of this community effort. 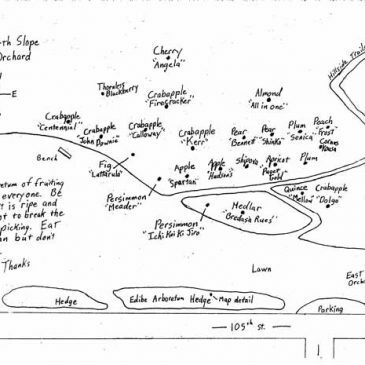  To see maps of the orchard, click here. 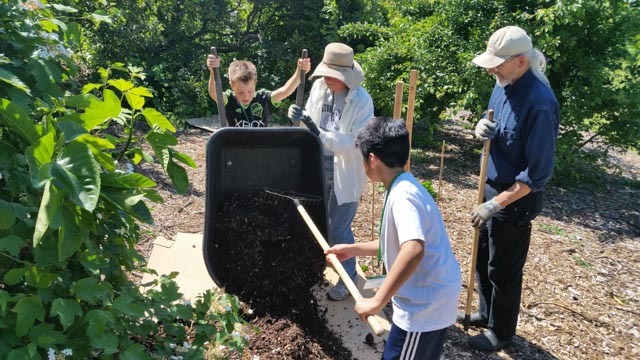 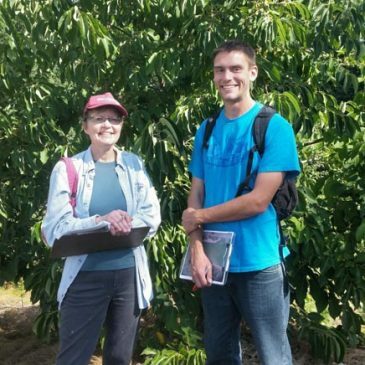 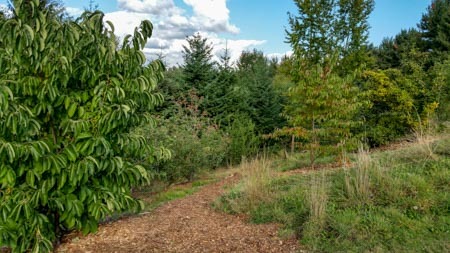 The North Orchard trail received a good amount of mulch, along with the many different plantings of fruit trees. 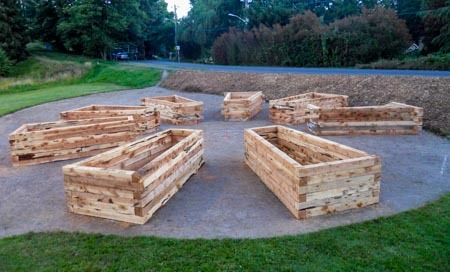 Cardboard and mulch not only look nice, it also helps with plant development and soil amendment. 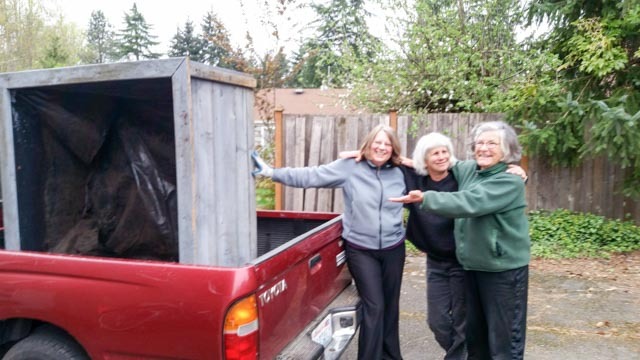 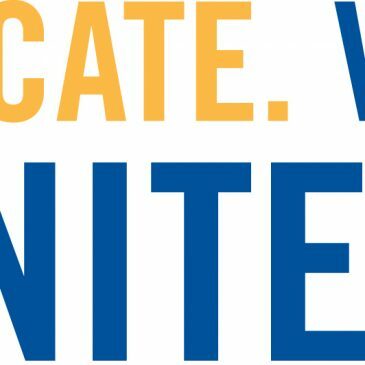 Thank you, Community Courts! 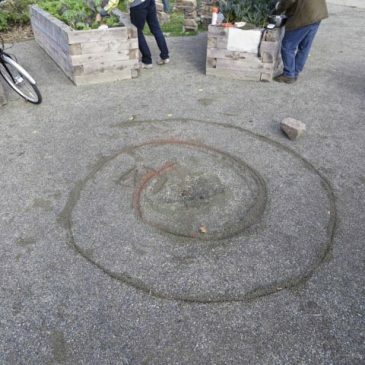 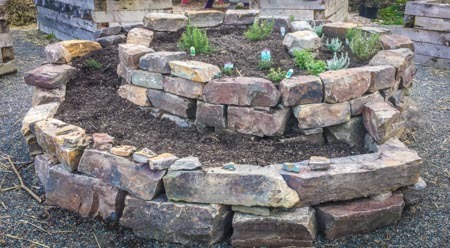 As the herb spiral begins to take shape, community gathers to harvest and check on the plantings. 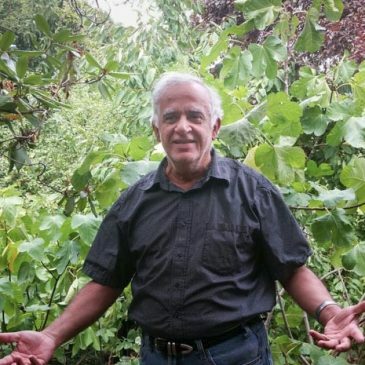 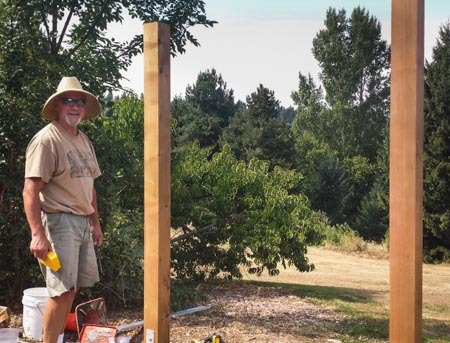 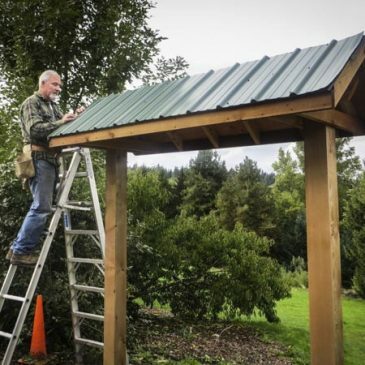 Community volunteer Alan C continues next steps in construction of Orchard kiosk. 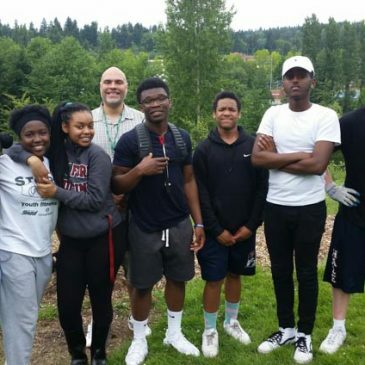 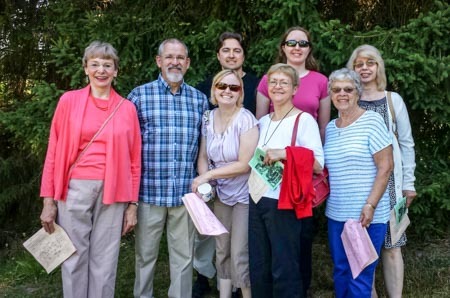 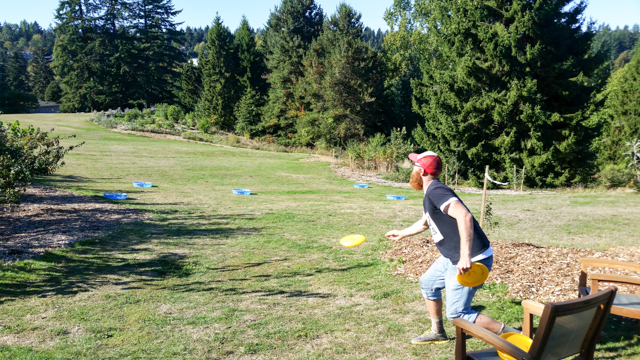 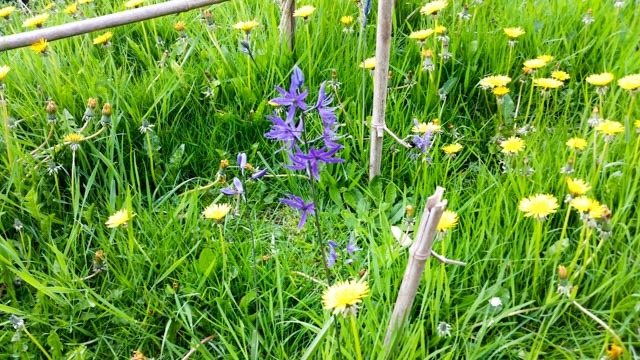 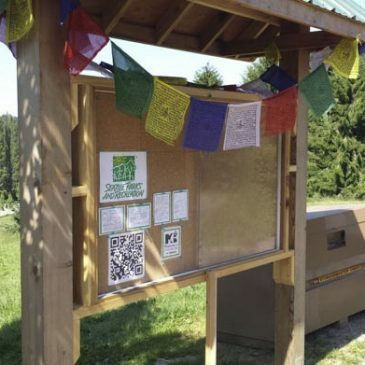 Funding support for project comes from Seattle Parks/Meadowbrook CC Advisory Council. 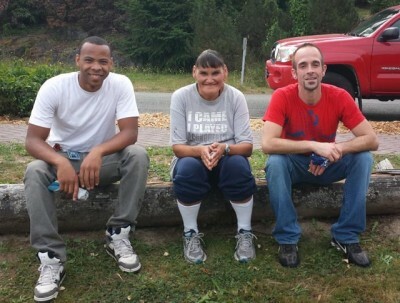 AmeriCorps Rep, Tracey (L)and Community Courts clients spent Thursday August 22 at the North Orchard. 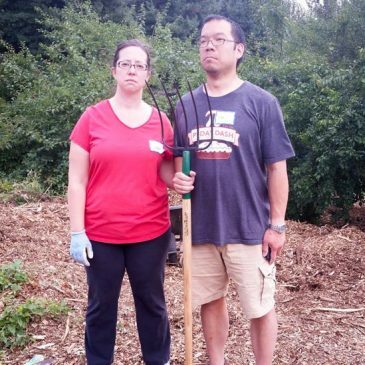 Weeding, litter patrol and cardboard/mulching were the tasks of the day. 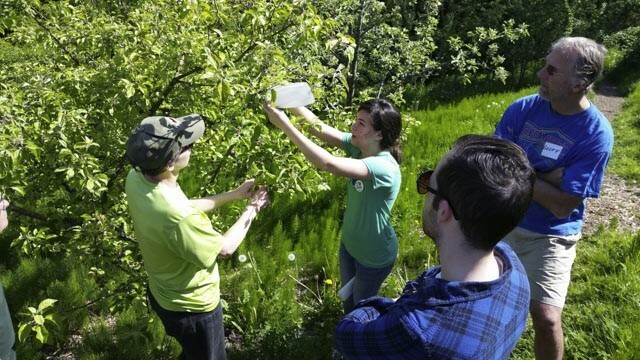 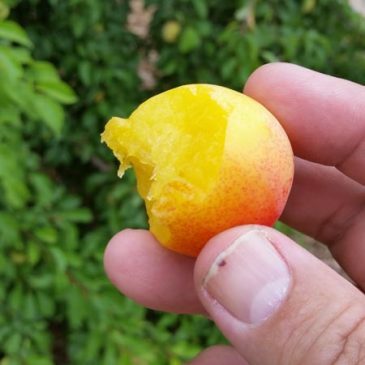 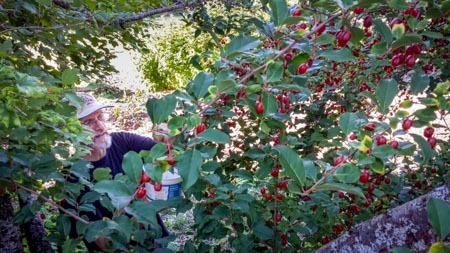 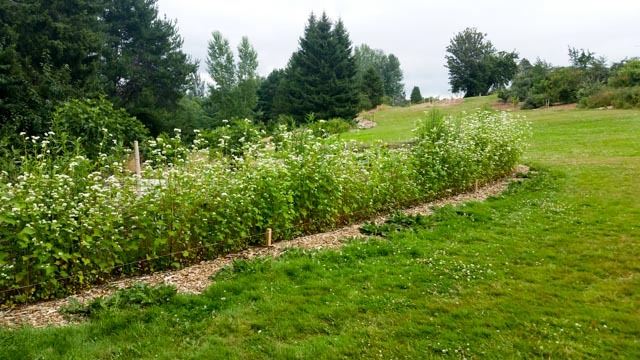 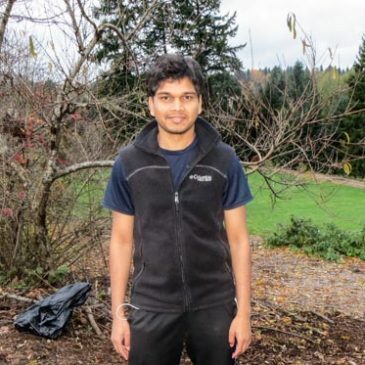 Present day pictures of Meadowbrook Orchard, with edible hedge located directly on NE 105th. 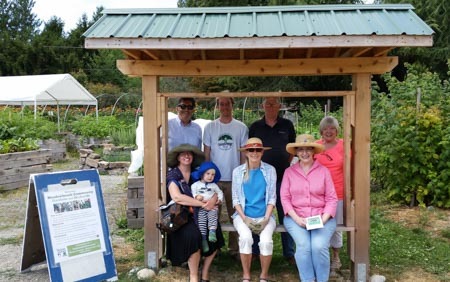 Expansion was completed Spring 2013. 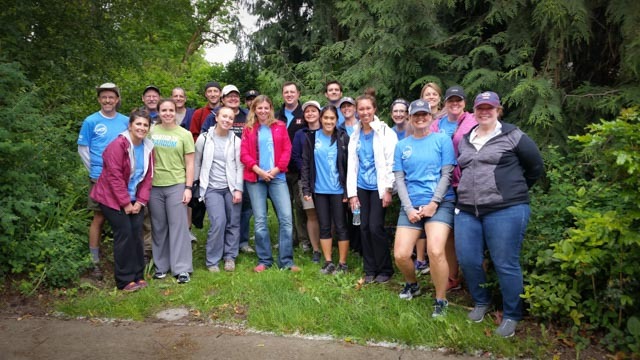 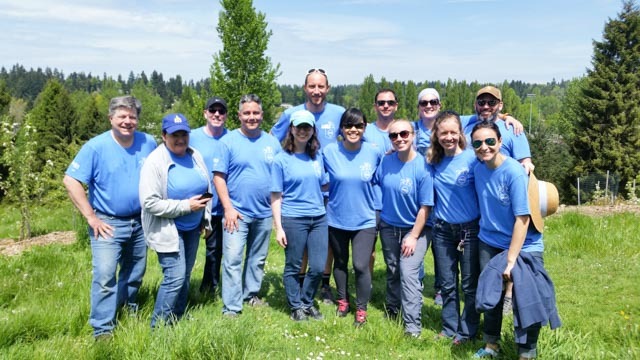 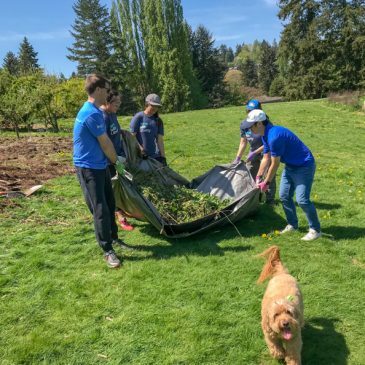 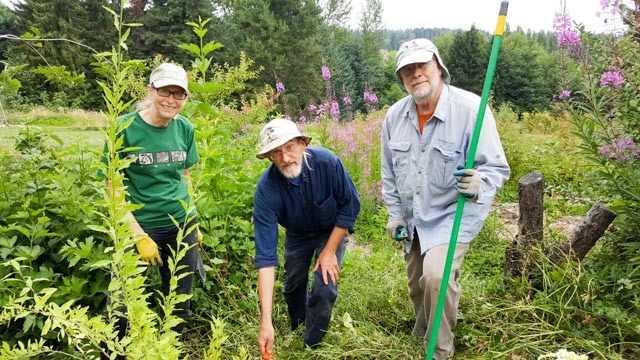 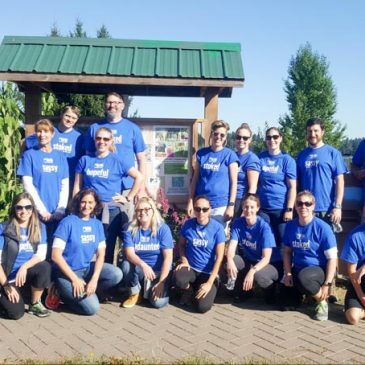 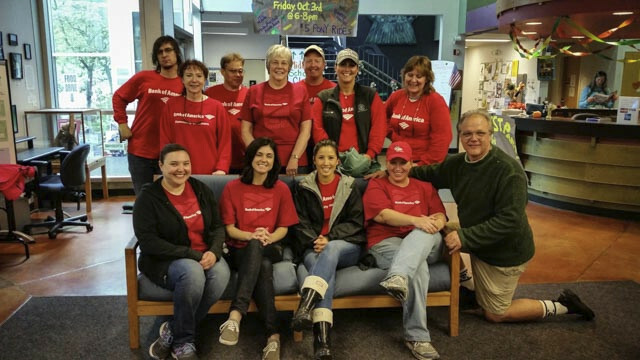 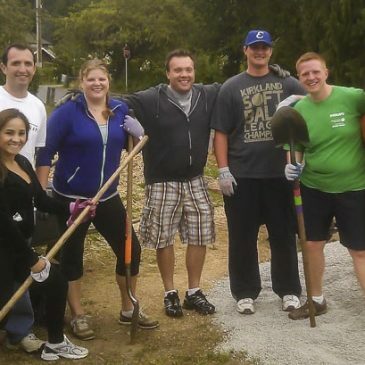 Diane Lewis of Phillips Healthcare in Bothell sent her hard-working volunteer team to spread gravel at the Meadowbrook Annual Garden Friday, July 12th. 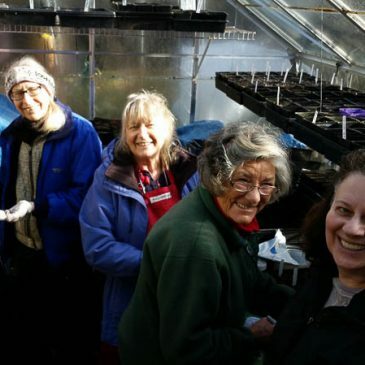 Many thanks for the great effort on a wonderfully sunny day.